In this post, we will discuss how to enable wireless in Windows Server 2012 R2. By default in Windows Server 2012 R2 wireless is not enabled, to enable wireless to follow below steps. 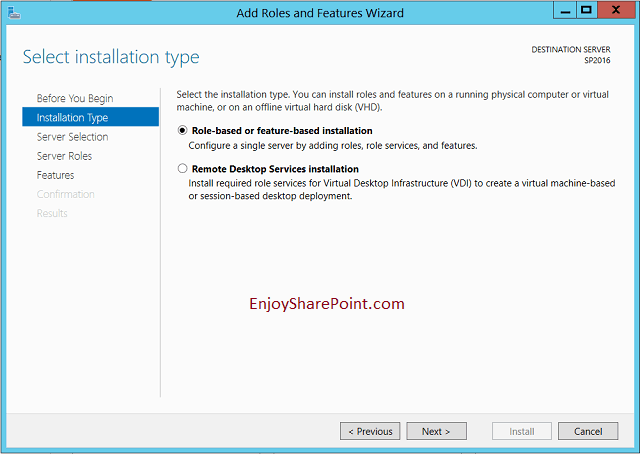 Then in the “Installation Type” screen, choose “Role-based or feature-based installation” as shown in the fig below. 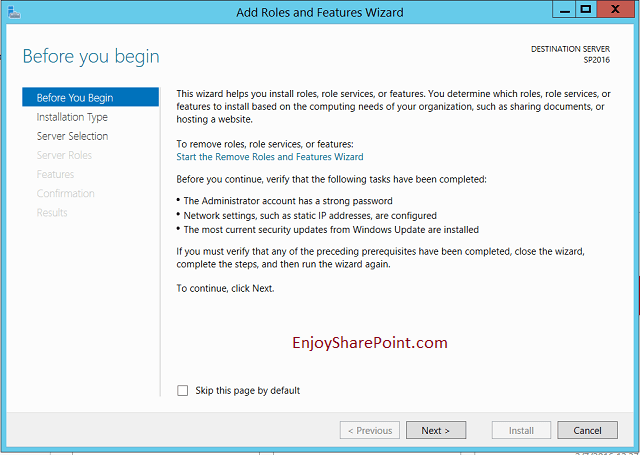 Steps to Enable wireless in Windows Server 2012 R2Then in the Confirmation screen click on Install as shown in the fig. Once completed, Restart machine, it should work fine.